NOT SO FAST! Phoenix Wright: Ace Attorney has finally arrived on PC, PS4, Xbox One and Nintendo Switch — and it’s still one of the best adventure games out there. The first three games are classics for a reason. 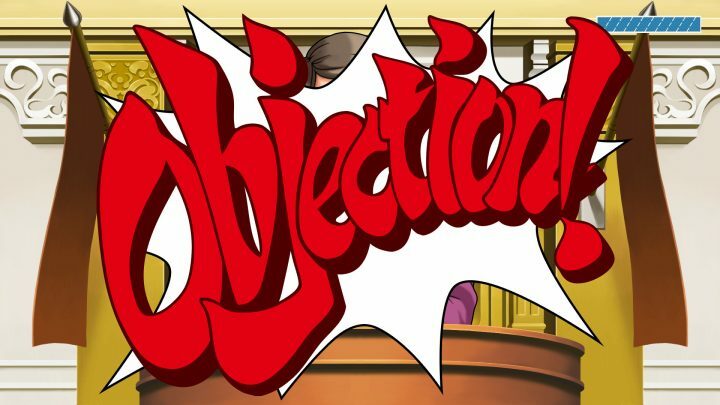 Mixing humor, over-the-top characters, and extreme courtroom drama, Phoenix Wright is all about rescuing the world’s unluckiest defendants from cruel prosecutors. As Phoenix Wright, you’re a defense attorney that struggles through each difficult case. You’ll search for clues during investigation sequences, then cross-examine witnesses in the courtroom to discover inconsistences in testimony. It’s a logic puzzle adventure where the logic is often completely zany. It’s well worth your time, and the remastered Ace Attorney Trilogy features redrawn artwork for every character and background, upscaling the low-res handheld games for modern screens. There’s just one problem — the default settings are all wrong. There are two problems with the default settings in Ace Attorney Trilogy — one blocks off most of the screen, while the other wrecks the framerate on PC. If you want to have a good experience with this wonderful little series, I recommend making these changes right away. From the Main Menu, select ‘Options‘ to change the settings. You can change settings at any time in-game. Open the Pause Menu to access some of these options. There’s a reason you’ll want to change both of these settings. Text Box Transparency, by default, is set to OFF — that means the text boxes are huge and opaque. They cover about 30% of the screen, blocking most of the character animations. Some of the shorter characters are almost blocked completely! To see the full character animations and reactions on display, you’ll want to set Text Box Transparency as high as possible. All it does it make the text box more see-through, you’ll still be able to read the text easily — even on a big screen. The second setting is all about Vsync. This setting is only important for PC players. If you have a monitor that runs at 60 hz or above, having vsync on will actually make the game run far too fast. To lock the game at 60 FPS, as is intended, you’ll need to disable vsync on PC. Make those simple changes, and Ace Attorney Trilogy should work just fine.